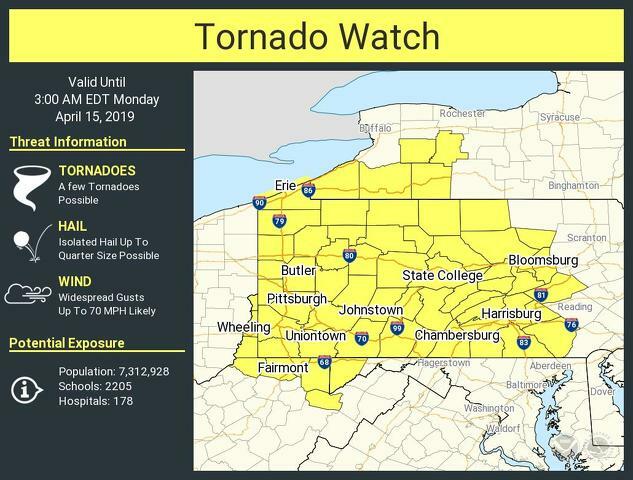 A strong line of storms moving across Pennsylvania is expected to bring severe weather, and the National Weather Service has issued a tornado watch for Centre County and a large portion of Pennsylvania. The watch is in effect until 3 a.m. Monday. Severe thunderstorms may bring damaging winds of 60 to 70 miles per hour, with tornadoes possible, according to NWS. Heavy rain may also lead to isolated instances of flooding. According to AccuWeather, the State College area is expected to see about an inch of rain overnight. Isolated hail is also possible. With severe storms possible across the state, the Pennsylvania Emergency Management Agency advised residents and travelers to be aware of the possibility of flash flooding and downed power lines caused by strong winds. 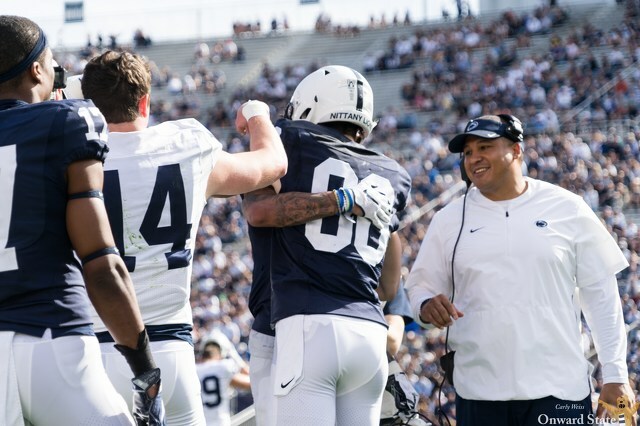 Fans at Saturday’s Blue-White game were fortunate enough to be part of one of college football’s greatest traditions: a surprise scholarship announcement for one of Penn State’s hardest working players.